OMAHA, NE. December 8, 2017 – The number of direct flights to Omaha keeps growing, this time expanding beyond the border. Air Canada announced it will begin offering non-stop service between Omaha and Toronto, Canada beginning May 1, 2018. "The fact that an international carrier believes Omaha is a valuable connection point for passengers is a testament to how much our city has grown," said Keith Backsen, Executive Director for Visit Omaha. "The new service will also make Omaha a more convenient and attractive destination for meeting and convention planners with international attendees." In the last two years, United, American, Southwest, Alaska, and Allegiant Airlines have all announced new nonstop service to Omaha. Currently Omaha&apos;s airport (OMA) offers direct flights to 28 of the nation&apos;s busiest airports in cities such as: Minneapolis, Seattle, San Francisco, Salt Lake City, Denver, Las Vegas, Los Angeles, San Diego, Phoenix, Dallas, Houston, Tampa, Miami, Orlando, Atlanta, St. Louis, Charlotte, Washington DC, Chicago, Detroit, Milwaukee, Philadelphia, and New York. Omaha hosts a number of large international and domestic events, including Warren Buffett&apos;s Annual Berkshire Hathaway Shareholders Meeting, which attracts an international audience each May, and the NCAA College World Series Championship, held every June. Earlier this year Omaha hosted the 2017 FEI World Cup, an international horse jumping and dressage competition, and the U.S. Olympic Curling Trials. In 2020, Omaha will again host the U.S. Olympic Swim Trials. 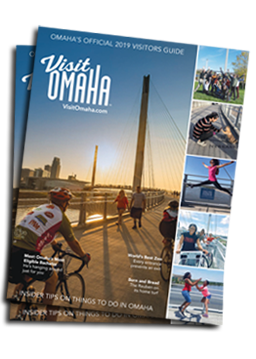 Learn more about what&apos;s happening in Omaha at VisitOmaha.com.